Mayor Making, Southampton, 16th May, 2018. Mayor of Southampton, Councillor Stephen Barnes-Andrews. The Rose Road Association is full of people working passionately to achieve our vision – a world where disability is not a barrier. We have been doing this since 1952 across Hampshire and surrounding areas, working with children and adults with complex and multiple disabilities and health needs and their families. We become a much needed extended family for many people and we do it with fun and professionalism. In Southampton, as with most places, there are people that are genuinely homeless and need help. There are also many people in desperate need of good food and the opportunity to socialise with others. This project will provide a hot three course Sunday lunch free of charge to approximately one hundred adults every Sunday for one year. 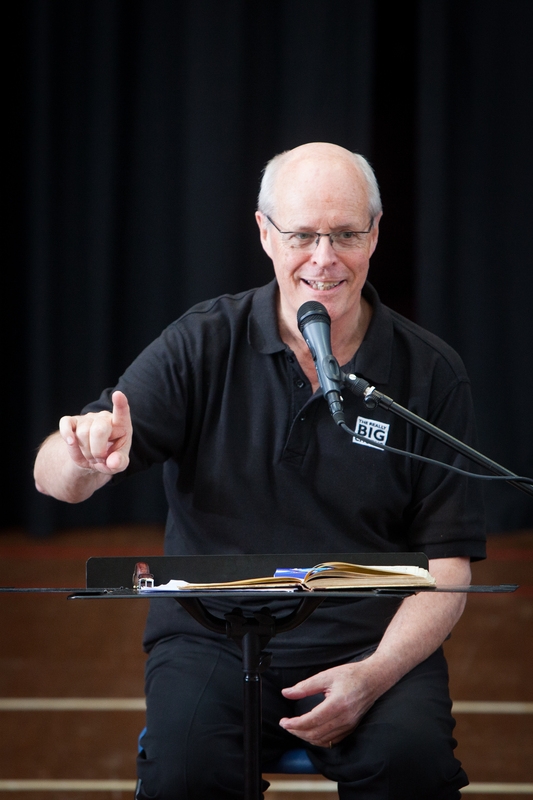 Our Patron is the well-known conductor and broadcaster, Brian Kay. Brian divides his working life between the broadcasting studio and the concert platform. His many presentations for BBC radio have included Brian Kay’s Sunday Morning, Brian Kay’s Light Programme, the weekly listeners’ request programme 3 for all and Choirworks – all on Radio 3 – on Radio 2 the popular programmes Melodies for You and Friday Night is Music Night, and for Radio 4, Comparing Notes and Music in Mind. His former BBC World Service programme Classics with Kay reached an audience of millions all over the world. Brian’s television presentations have included the competitions to find the Cardiff Singer of the World and the Choir of the Year, and for fifteen years, the New Year Day Concert from Vienna. He has twice won a Sony Award as Music Presenter of the Year, including the coveted Gold Award in 1996. On the concert platform, he presents and narrates concerts with many of the leading orchestras. His narrations include Peter and the Wolf, Tubby the Tuba, Babar the Elephant, The Snowman, The Musicians of Bremen, Walton’s Facade, Honegger’s King David and Bliss’s Morning Heroes. Brian is Conductor and Musical Director of Vaughan Williams’s Leith Hill Musical Festival in Surrey, and of the Buford Singers, near to his home in the Cotswolds. He is also Principal Conductor of The Really Big Chorus, with which he regularly conducts massed voices in London’s Royal Albert Hall in works such as Verdi’s Requiem, Carmina Burana, The Armed Man and The Dream of Gerontius, the annual 4,000-voice Messiah, and in 2010 the world premiere of Karl Jenkins’ Gloria. Recent concerts have been in Salzburg, Prague, Venice, Dubrovnik, Madeira, Malta, St. Petersburg, Hong Kong and Cape Town, with a performance of Handel’s Messiah in China, in Beijing’s Forbidden City Concert Hall and an annual singing cruise to destinations in the Baltic, the Aegean, the Black Sea, the Mediterranean, the Rhône, the Danube and the Nile. He was, for ten years, Chorus Master of the Huddersfield Choral Society, and Conductor of the Cheltenham Bach Choir, the Bradford Festival Choral Society, the Cecilian Singers of Leicester, and the Kendal-based Mary Wakefield Westmorland Festival. He is frequently invited to conduct choirs and orchestras in many parts of the country and has directed choral courses at the summer schools of Dartington, Warwick, Ardingly and Eastbourne. Further afield, in New Zealand he has conducted the Orpheus Choir of Wellington and the Auckland Choral Society, and in Sheffield, Massachusetts, the Berkshire Choral Festival. He is a Vice-President of the Association of British Choral Directors and of the Royal School of Church Music. Brian Kay has twice appeared at the Royal Variety Show – in 1978 as a member of the King’s Singers (he was a founder member, and as the bass voice in the group performed over 2000 concerts world-wide) and in 1987 conducting the Huddersfield Choral Society. He sang the voice of Papageno in the Hollywood movie Amadeus (his wife, the soprano Gillian Fisher sang Papagena). He has also been the lowest frog on a Paul McCartney single, one of the six wives to Harry Secombe’s Henry VIIIth, and a member of the backing group for Pink Floyd! 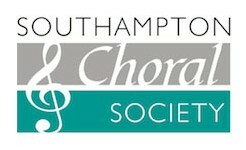 Founded in 1943 by the late Ambrose Chalk, a well-known musician and conductor, Southampton Choral Society (formerly known as Southampton Choral Union) was initially an amalgamation of local Free Church choirs. Later attracting many other singers, it became a major part of the cultural life of the city and remains so to this day. Derek Goodger became Musical Director in 1971 when Ambrose Chalk had retired and the choir continued to build on its fine reputation. In that era, with plentiful funding for the arts, Southampton Guildhall was the base and the concerts were often with the Bournemouth Symphony Orchestra or Bournemouth Sinfonietta. There were many notable performances and some works heard for the first time in Southampton including Vaughan William’s Sea Symphony and Carl Orff’s Carmina Burana. 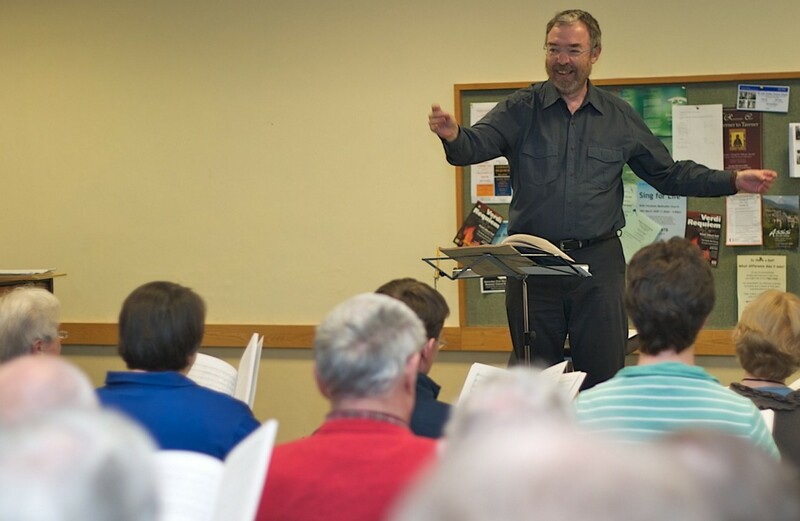 Following Derek Goodger’s retirement, Aidan Fairlie was appointed Musical Director in 1998 and the choir continued to perform to high standards and to widen its repertoire. Audiences were delighted by works ranging from the much loved Faure’s Requiem to the ambitious Howell’s Hymnus Paradisi. In 2009, Peter Gambie became Musical Director and embarked on developing the choir into one of the leading choral societies in the country. Under his direction it has gone from strength to strength resulting in audience members commenting that ‘the choir has never sounded better’. There have been many memorable performances in recent years and after ‘An Evening with Dame Emma Kirkby’ in 2011, Dame Emma said ‘What a pleasure to work with such a large, healthy and accomplished choir. Congratulations on all of it, not least the flurries of semiquavers in the Handel.’ Praise indeed from such a celebrity! 2013 saw a fine performance of Bach’s B minor Mass with Southern Pro Musica with whom the choir had previously sung Bach’s St Matthew Passion to great acclaim. This was followed by the world premiere of a new choral drama on slavery called ‘Freedom’, composed by Ian Schofield and commissioned with the help of a £10,000 Community Arts Award to the choir from the BBC. The Choral Society were joined on this occasion by a variety of other local choirs and musicians demonstrating the desire to reach out to the wider community including young people. This was the case once again in 2014 when the choir performed Britten’s Ceremony of Carols with Southampton Young Singers and collaborated with Southampton Youth Orchestra for Carl Orff’s Carmina Burana along with an innovative light show enhancing the performance. In November 2015, Peter Gambie generously handed the final performance baton to the well known conductor, Brian Kay for a wonderfully successful Elgar’s Dream of Gerontius in Winchester Cathedral. Again, Southern Pro Musica joined them and with top soloists and Peter Gambie’s Renaissance Choir singing the semi-chorus, the packed cathedral was given an evening to remember and prompted comments such as ‘a quite magnificent performance’. Afterwards, Brian Kay agreed to become the choir’s Patron. Demonstrating their versatility, Southampton Choral Society also sang the complete Rachmaninov’s Vespers unaccompanied in 2013 and in 2016 a concert entitled ‘Music and Monarchy’ produced chamber choirs from their own ranks to sing works by Byrd, Parsons and Tallis. They are also very proud of an annual collaboration with the Royal Marines Association Concert Band in a popular and festive ‘Carols with the Band’ which always delights their audiences. With exciting plans ahead, the proud history continues and the future is bright.